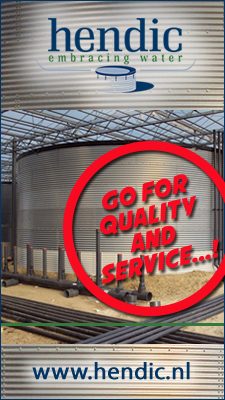 In greenhouses the climate can be hot & humid. Everything except the ideal climate for running. 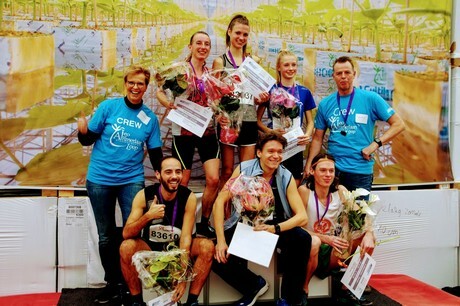 Still, this is what almost a 1000 people decided to do last Saturday in the annual greenhouse run, organised by the Dutch plant propagator Plantise. John Ammerlaan participated in the 10 km and, as if it was nothing, biked the 5 km as well as the kids runs afterwards. That's some propagator! Next to two runs (10 Km and 5km) for trained runners, also two kids runs were organised, resulting in a total of almost 1,000 participants in total. Besides them having fun (and sweating), also money was collected for various charities. The run was initiated 9 years ago by propagator Leo Ammerlaan. 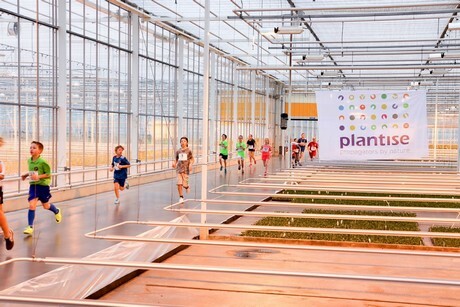 Last year the company merged with Van der Lugt & the Grow Group to Plantise. Therefor this year was the first Plantise run. Check out more photos of the greenhouse here. Next year the jubilee edition of the run will take place on February 1st!